Intermediate Capital Group (ICG), the specialist asset manager, has acquired the remaining 49% of Longbow Real Estate Capital LLP (ICG-Longbow) which it did not already own for an initial £13m with an estimated £24m to follow in separate tranches over the next two years. The aggregate estimated £37m purchase price – comprised of an initial £13m upon completion in October and a further estimated £24m spread over multiple tranches to follow during 2016 based on performance – will be paid to ICG-Longbow’s eight equity partners reflects the considerable growth of the senior and mezzanine lender amid an environment of considerable recovery for traditional lenders. ICG-Longbow equity partners – comprising joint managing partners Kevin Cooper and Martin Wheeler, as well as Ralph Charlwood, Trevor Homes, Phillip Archer, Julian Naylor, Graeme Troll and Matthew Main – have all been locked into long term retention packages up to and beyond 2020. ICG acquired the initial 51% stake in Longbow Real Estate Capital, which subsequently rebranded Longbow Real Estate Capital, in December 2010 for £4.3m. The majority of this stake was acquired from Longbow’s original venture capital backers to finance the start-up of the partnership back in July 2007 – the exact inflexion point for the UK commercial property market. ICG’s original acquisition was in the context of retreating bank finance, in the immediate aftermath of the global financial crisis which left a critical under supply of senior and mezzanine finance, which supported attractive margins for those capital providers with higher costs of capital. In the three-and-a-half years since ICG’s 51% stake acquisition closed, in March 2011, liquidity has returned in abundance within UK lending markets, particularly in the last two years, resulting in downward margin pressure. Martin Wheeler, ICG-Longbow’s joint managing partner, told CoStar News that the obvious change over the period has been in the firm’s cost of capital. The oversupply of capital largely exists in the pats of the lending market which ICG-Longbow is not seeking to complete in. By comparison, ICG-Longbow targets small to medium-sized deals in the regions as well as Greater London. Since December 2010, ICG-Longbow’s equity capital under management has soared from £150m to £1bn invested across its four funds and has in excess of £200m of transactions in closing. ICG-Longbow’s four funds comprise the £242m Longbow UK Real Estate Debt Investments II and the £700m ICG-Longbow UK Real Estate Debt Investments III, both of which adopt similar whole loan and mezzanine strategies. In addition, ICG-Longbow manages the listed UK senior debt fund, the fully invested £105m ICG-Longbow Senior Secured UK Property Debt Investments Limited, and a £400m UK senior debt programme which co-invests alongside four pension fund and insurance company investors, including the BBC Pension Fund. ICG-Longbow confirmed this morning its intention to raise a successor whole loan and mezzanine fund to ICG-Longbow UK Real Estate Debt Investments III within the next six months. No capital raising target was given beyond that it would be in the hundreds of millions. In a prepared statement this morning Christophe Evain, chief executive officer of ICG said: “ICG’s business model is underpinned by launching and developing new strategies that utilise the best of our investment expertise, specialist local knowledge and relationships. The 51% acquisition of ICG-Longbow in 2011 initiated the acceleration of this strategy. Martin Wheeler, Joint Managing Partner of ICG-Longbow added: “The partnership’s success has been underpinned by a meeting of minds in terms of investment philosophy and approach, whilst ICG’s support has allowed the ICG-Longbow team to concentrate on investing and managing existing funds, in addition to developing new complementary strategies. 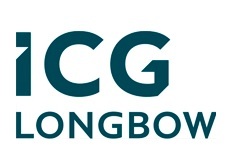 The business will continue to trade as ICG-Longbow. Gallery | This entry was posted in Lenders, Market Trends, Refinancings and tagged Intermediate Capital Group, Longbow Real Estate Capital. Bookmark the permalink.